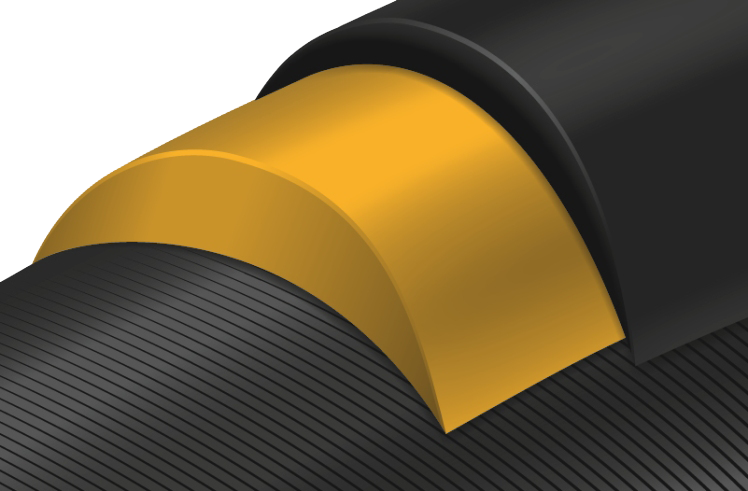 Between the tread and the carcass, a puncture protection of highly elastic special rubber is used. This practically impenetrable puncture protection successfully defies all types of foreign objects from getting to the inner tube below. Even a drawing pin cannot get through. Tires with Plus Breaker can be seen in almost every segment nowadays: Whether racing cycles, MTB or city/trekking, the Plus Breaker guarantees maximum safety without negatively affecting the cycle properties of the tire. The consistency of the breaker has been adjusted so that the tire does not feel spongy when cornering. The Plus Breaker is true puncture protection. Please read the air pressure instructions!